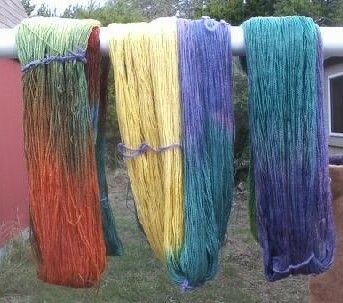 Openherd: Cria Creations Alpacas, LLC is a farm located in CANYON LAKE, Texas owned by Kandie and Cheryl. 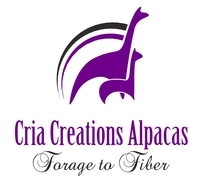 WELCOME to Cria Creations - we're a small farm focused on improving our herds genetics through careful and selective breeding. Our goal is to create a high standard of American Alpacas while keeping the care and comfort of our animals at the center of all we do. 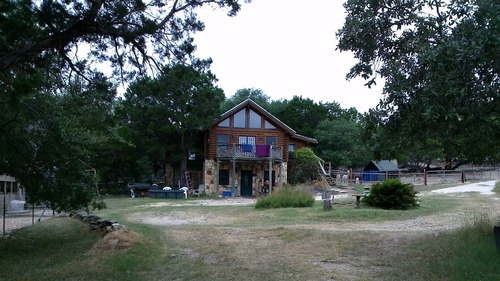 Our farm is centrally located between Austin and San Antonio, just minutes away from Canyon Lake on 10 acres filled with native grasses, cedars and spanish oaks. When we first purchased our land we had no idea that we'd be getting involved in the Alpaca Industry. We enjoy working with the animals and expanding our knowledge, from partnering with other farms to learning about and working with the fiber. We believe that our farms greatest asset is the love and care we give our Alpacas. These adoring animals are much more than a business, they not only captured our hearts but have given us those much needed peaceful and relaxed moments we look forward to every day. We require a 25% down payment with 1 yr to pay with no finance charges. Balance to be paid in equal monthly installments until paid in full. First payment due 30 days from contract signing. 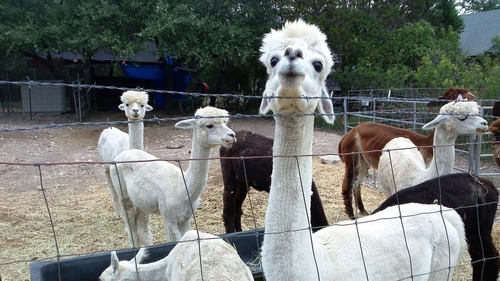 Depending on the number of Alpacas purchased, financing may go up to 3 yrs with no finance charge. Otherwise 7% finance charge applies after the 1st year. Purchaser may take possession of Alpaca(s) upon payment of 25% down. Purchaser to pay agisting fee ($4.00 a day per Alpaca - Crias at side under 6 months free) after 60 days of contract signing. Upon final payment ARI certificate will be transfered to purchaser. It is purchasers responsibility to obtain Insurance and name Cria Creations as Lien Holder, copy to be turned over to seller upon request. Seller guarantees live birth for 1 week or Seller will re-breed (Purchasers Choice) to any Cria Creations Herdsire at no charge. It's not fancy but it's ours. When we sit in the quiet company of the animals at dusk with beverage of choice in hand and the BBQ under way we realize just how blessed we are. 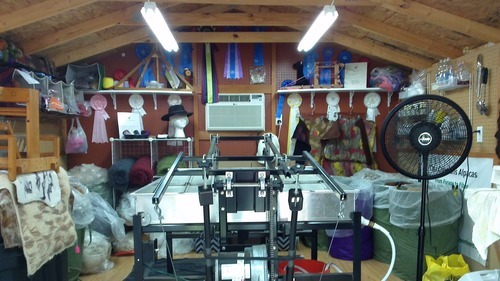 Is working full time and managing a small farm easy - No - not really. Is it worth it? Oh Yes, no doubt about that. As we get older (because we all head down that road) we think it may be time to reduce our numbers, so come back and visit and you just may find a package that will help you to begin a journey that we can only hope will bring you the same joy and peace.